Acne is quite a common symptom during pregnancy. It affects a woman at varying degrees, especially during the first trimester. Some have quite a few acne and others have it severe. It has also been seen that a person who never had acne previously is affected by it during the pregnancy period. The opposite has also been true, where a woman with a history of agonizing acne gets fewer types of acne during this period. How Long Does Pregnancy Acne Last? This is partially caused due to high levels of a certain hormone called androgens. These hormones have the tendency to stimulate the sebaceous glands in the skin. The glands bigger and this boosts the production of an oily substance known as sebum. When this excess sebum combines with shed skin cells that are present in the hair follicles, it tends to block the pores. Thus it forms an environment where bacteria can grow and multiply easily. This leads to skin inflammation and growth of acne. Coconut oil contains the much required antibacterial and anti fungal properties. It soothes the irritated skin and is very easily absorbed. Moreover, it keeps your pores free from clogging. Wash your face thoroughly and pat it dry. Apply coconut oil on your acne. You can apply coconut oil on your entire face if you are following this process at night. It is preferable to use virgin coconut oil. Wash your face with your preferred face wash and pat it dry. Mix one tablespoon of coconut oil with one tablespoon or two teaspoons of honey and one teaspoon of lemon juice. Mix the ingredients very thoroughly. Apply it directly on the acne affected areas. Let it rest and dry on it for ten to fifteen minutes. Clean your face with a cleanser of your choice and pat it dry. Use a witch hazel toner that is alcohol free. Use clean cotton balls and soak it in the witch hazel toner. Gently apply it on the acne affected areas. Then apply your moisturizer and regular makeup. You can keep the toner in the refrigerator before applying it as the cold will help in reducing the irritation faster. You can also use witch hazel wipes found in the market. You can also make the wipes at home. For this you can use disposable wipes and dip it in witch hazel, then apply it on the affected areas for faster relief from pain. ACV has antiseptic, antimicrobial and anti-fungal properties. 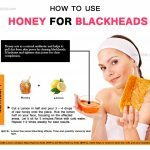 This helps to remove bacteria that cause acne. It also stops it from growing. Here are some ways to use it. In a container one needs to mix equal amounts of ACV with filtered water. Then one should was their face thoroughly and pat dry. Once the face is dry, by either taking an ear-bud or a cotton ball, one needs to apply this mixture all over the problem areas. Once it is dry, apply your regular moisturizer and exfoliate your skin. Continue this process regularly to avoid and heal acne. Take a small container for mixing 3 tablespoons of honey woth a single tablespoon of ACV. Then, clean your face with your regular cleanser and pat it dry. Now after the face is all dried, one needs to apply this mixture on the acne affected areas. If required one can apply all over their face. Let it dry for a few minutes and then one needs to rinse thoroughly. This exfoliates the skin and avoids Acne. Development of acne during pregnancy is quite unpredictable. 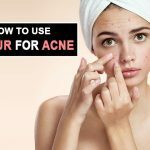 Though in most cases the break out of acne is quite common even when you never had acne before, there are chances that you may not be having them. It is important that you drink a lot of water during your pregnancy as it helps to dilute the hormones secretes. 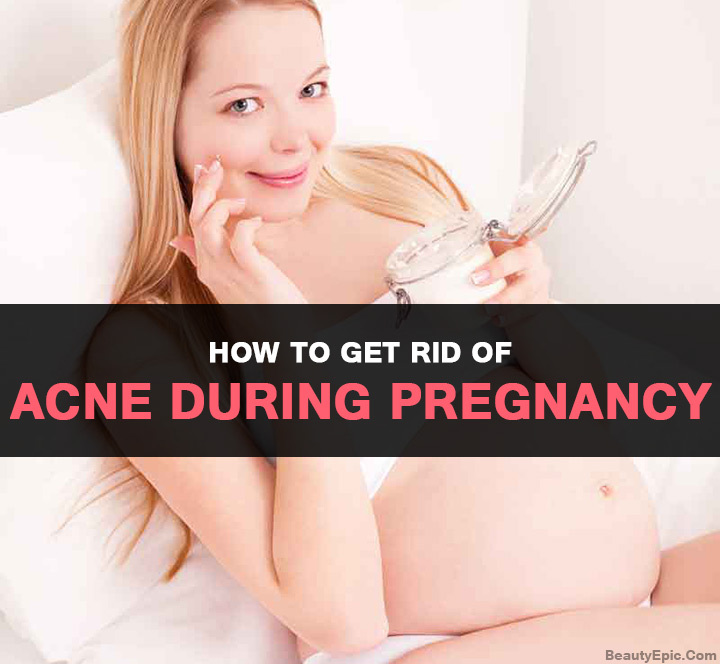 The acne tends to reduce as you progress through your pregnancy. This occurs due to the increase in the levels of estrogen. Your skin may return to normal in a couple of months after the birth of your child. There is no fixed rule regarding the complete eradication of acne it works differently for different women. 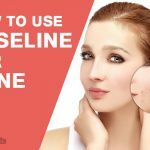 In this article various home remedies have been discussed that you can follow to get rid of you acne at home. You must however consult your doctor before trying them out during your pregnancy months. If the problem persists consult your doctor for prescribed medicines.